The second set listing is incomplete, as the recordings that circulate cut during Bag. The first known performance of I Didn’t Know was dedicated to Brian Long. After several weeks off following their Goddard Halloween gig, Phish played a two night stand at Hunt's, a small venue where they played a handful of gigs in 85 and 86. The band certainly is less loose than their Halloween show, which doesn't lend well for the show in terms of its long-lasting appeal. The band doesn't play poorly, though, just...slowly. 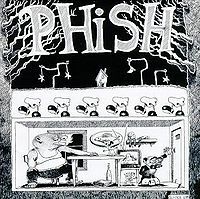 The sound quality here is a C+ from the spreadsheet - poor enough to discourage Phish 3.0 audiophiles, but not bad enough to repel those who remember hissy 4th gen tapes. 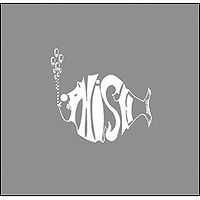 Phish was still fooling around with where to place Slave and it opens. The jam builds nicely, but mid-way through, Trey calls attention and begins an effects laden solo that ends it quickly. TMWSIY is standard. Is this the best non-horns Flat Fee? I don't know, but it certainly is slinky. Much slower than usual and very lounge-lizardly. The Wilson is drawn out to start, but there's not too much notable here. Instead of ending, the 'bibbity bibbity bibbity' section leads right into Peaches - something that was echoed later in other versions (notably 9/24/88 and much of '88). Peaches is nice, albiet a touch slower than usual. Following the jazzy nature of this 1st set, A-train follows. Golgi is also particularly slow. Really, most of this first set is particularly lackluster. 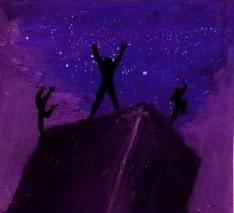 Divided Sky is the short version, Alumni is very standard, and the GTBT isn't all that notable. I'm wondering if the band had trouble starting things off. I didn't Know was dedicated to one of the band's earliest fans and roomate, Brian Long ("Mr. Long"). While it didn't contain a Fish spotlight, this version is slow and slinky too. The YEM here contains a handful of composed section flubs, surprising for the early days. The jam here focuses on Page for the early part before Trey gets involved and I wouldn't say that it is a poor version, but a little short and very standard. Fluffhead, one of the earliest versions of the whole composition, is actually quite nice here, and the band seems to pull out of its slow lethargy. Unfortunately, most tapes cut here. This show doesn't feature anything of particular interest to the average Phish listener. Folks who like listening to Mike being particularly active might try listening to the YEM and GTBT, but other than that, this is nothing particularly special. The band seems slowed down after several weeks off and has trouble keeping connected. Really, when the highlight of the show is an ultra-slinky Flat Fee, one ought to look elsewhere for a solid listen.